Strauss Peyton is one of the oldest photographic portrait studios in the country. The studio originated as a St. Louis studio known as Strauss Studio. The major portrait photographer in St. Louis from 1880 until 1920 was J.C. Strauss. His custom designed studio-gallery was on Franklin Street in downtown St. Louis. J.C. Strauss' younger brother Benjamin Strauss, worked for him at an early age learning the photography business. In 1900 Benjamin Strauss moved to Kansas City, Missouri to start his own studio and hired an employee named Homer Peyton. Homer Peyton was so well liked and important to the Kansas City studio that Benjamin made him a partner and changed the name to Strauss Peyton. Over the next several years Strauss and Peyton famously photographed and hobnobbed with the likes of Al Jolson, Franklin D. Roosevelt, Douglas MacAurthur, and Bette Davis to name a few. 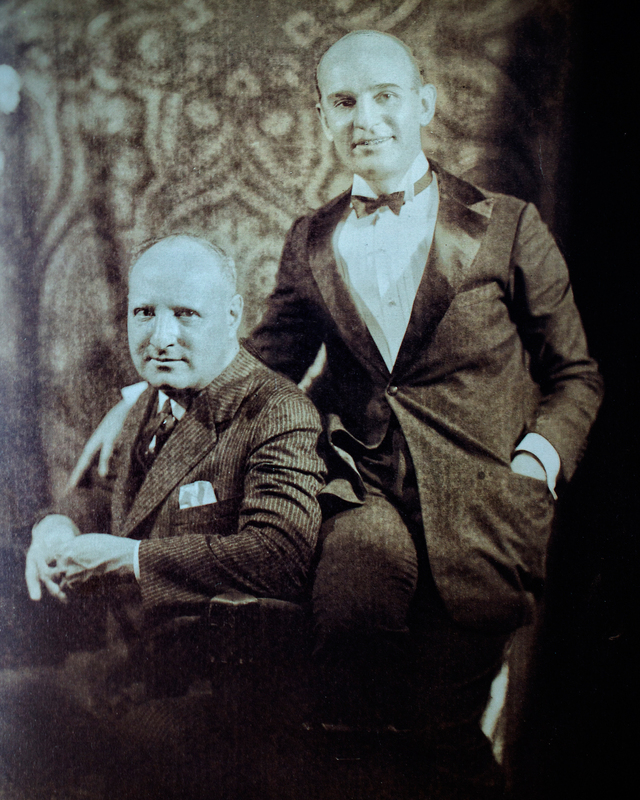 In 1911, J.C. Strauss' son Louis Strauss began working in the St. Louis Studio and took over for his father in 1924. As the Great Depression took its toll on several businesses in the St. Louis area, the Strauss Studio was also affected. By 1940 the Strauss Studio in St. Louis had closed and in Kansas City, Benjamin Strauss and Homer Peyton had also parted ways and sold their Strauss Peyton studio. The Strauss Peyton studio in Kansas City is still open today and has continued to be a major contributor in the Portrait Photography world. This is where the current owner of Strauss Peyton St. Louis, Colin Miller, began his photography career. After working at the Kansas City studio and learning the history and tradition of this great company, Colin had no choice but to bring it back to its origin. He reopened the St. Louis studio in 1990 in Clayton, Missouri and brought back the tradition of exceptional portraiture to St. Louisans. Strauss Peyton, St. Louis, is the premier portrait studio in the area with Colin Miller at the helm. Visit our gallery on Lindbergh Boulevard (you'll recognize the home with the red door), and see what the Strauss Peyton Experience is all about. At the age of 10 Colin picked up his first camera and instantly fell in love with the art of photography. When he watched his first image come to life in the photographic developer tray he knew that this would be his life's purpose. He was always surrounded by people with creative passions which drove him to better his own practice. Colin was originally inspired by his father who transformed their kitchen into a darkroom, as well as legends like Ansel Adams, Yousuf Karsh, and John Singer Sargent to name a few. After years of honing his artistic ability as a photographer he completed his Master of Photography Degree with The Professional Photographers of America in 1992. 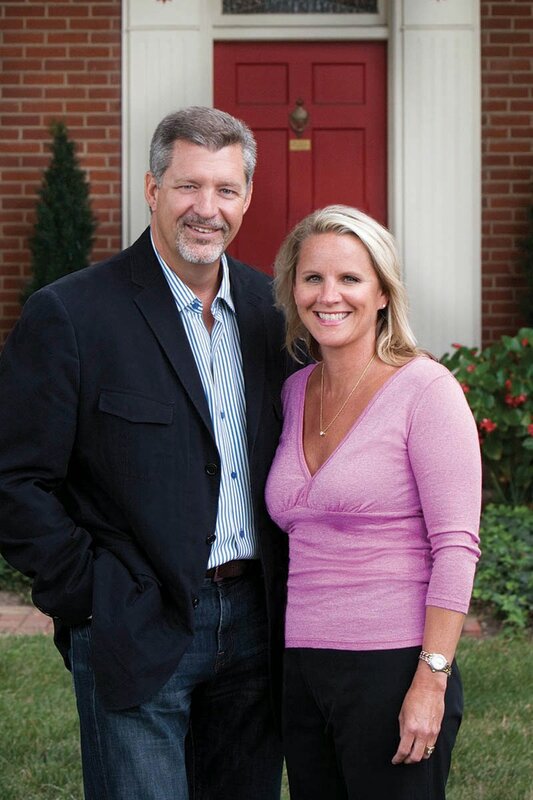 It was in 1990 that Colin and Bobbi reopened Strauss Peyton in St. Louis, Missouri. The photographic studio started by Benjamin Strauss and Homer Peyton carried over 100 years of history and a reputation of excellence in fine portraiture. Colin wished to continue the tradition. After a visit to New York in 1993 to see Graham Nash, Colin was inspired by his use of a large format printer to create Giclée Prints. He knew he could incorporate this creative style into his own work. This inspiration led to the creation of the Mixed Media Masterworks process that combines two artistic mediums; photography and paint. Colin was one of the first to create this style of photography and has been creating these artistically embellished portraits for over 25 years. Colin's eagerness to create photographic art has led him to become a nationally recognized portrait artist. His skills and mastery are identifiable in each piece. Colin's most distinguishable skill is his ability to put people at ease which allows him to capture natural expressions giving each portrait its realistic touch. A Strauss Peyton Portrait by Colin Miller is a one of a kind masterpiece uniquely designed and handcrafted for your home.